DyeMansion is a Munich, Germany-based company that offers a variety of high-volume finishing systems for an easy Print-to-Product workflow that transform raw, 3D-printed parts into high-value consumer and industrial products. Our technology is already trusted by more than four-hundred customers, including leading global manufacturers in diverse industries, such as eyewear, automotive, retail, medical, and sports equipment. 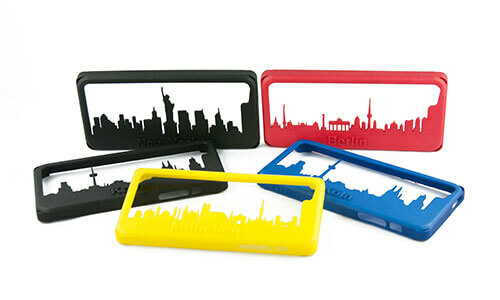 It all started with 3D-printed smartphone cases. It all starts as a 3D-printing agency. Today, DyeMansion is established as global market leader finishing systems for 3D-printed polymer parts. Learn more about our milestones on the way. The history of DyeMansion GmbH begins in 2013 in a small cellar in Munich. Felix Ewald and Philipp Kramer found the 3D-printing agency Trindo and start selling 3D-printed mobile phone covers with the corporate design of large companies – but what would be the story of a start-up without start-up difficulties? Trindo has to take back the first 200 mobile cases sold, as the color detaches and the customers’ trouser pockets gets dyed. In their search for a solution to this problem, the two young founders quickly discover the great potential of a technology for the industrial post-processing and coloring of 3D-printed parts. The idea to develop an own coloring solution is born. As the team no longer deals with mobile phone covers, but with the development of their own coloring solution, Trindo becomes the new company DyeMansion (to dye = coloring, mansion = villa). While Trindo continues to work as a 3D-printing agency, DyeMansion focuses on coloring 3D-printed polymer parts. An own on-demand coloring service is put into operation and customers can now have their raw parts colored in the ‘DyeMansion’ dyeing villa. Every good idea needs someone to support it: Dr. Hans Langer, founder of EOS, world market leader for industrial laser sintering systems, recognizes the great potential of the idea and invests in the young company through his investment holding AM Ventures. The AMV team encourages the young entrepreneurs to develop an automated and scalable dyeing solution and gives decisive clues. 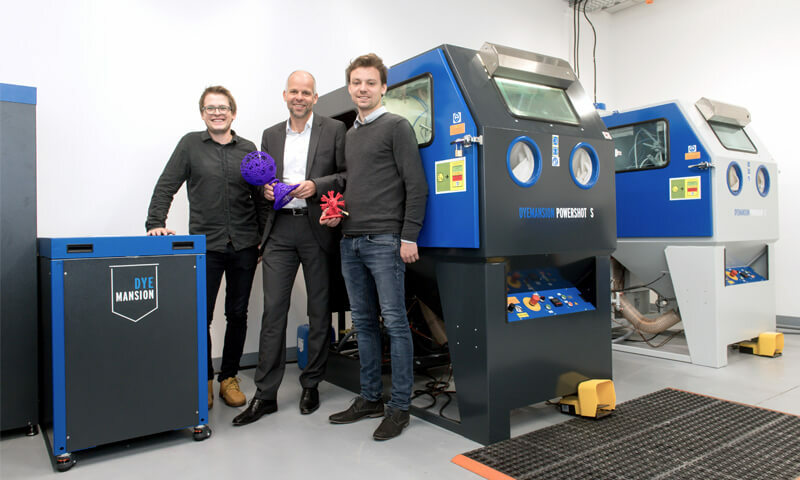 Less than nine months later, DyeMansion celebrates the premiere of their first product: at the leading exhibition for 3D-printing, Formnext, the team presents the world’s first fully automated coloring system for laser sintered plastics – the DyeMansion DM60. DyeMansion wins the Formnext Start-up Challenge and starts DM60’s pilot phase with new possibilities, contacts and ideas. The continuously increasing demand in the finishing service, staff growth and big plans for the future need space. 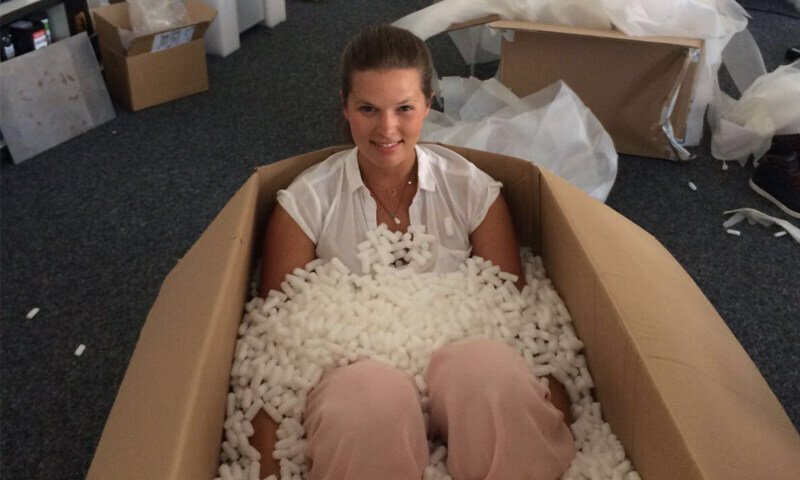 DyeMansion moves to a new 1000 square meter facility in Planegg-Munich. Since September 2016, the company can call these premises their ‘Mansion’. It quickly becomes clear that a high-quality color distribution requires much more than just the coloring itself. DyeMansion expands their existing product portfolio with the DyeMansion Powershot series – solutions for cleaning and surfacing. 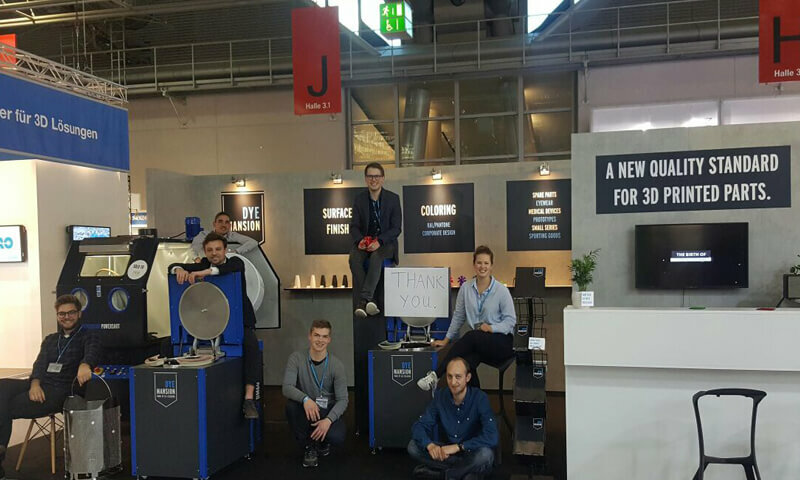 To present the new ‘youngsters’ appropriately, the team builds their first own exhibition booth for Formnext in Frankfurt. With its product portfolio and innovative ideas, DyeMansion 2017 is able to assert itself against further German start-ups and wins the “German Accelerator Tech”, a program of the Federal Ministry of Economics to promote innovative tech start-ups on their way to the USA. 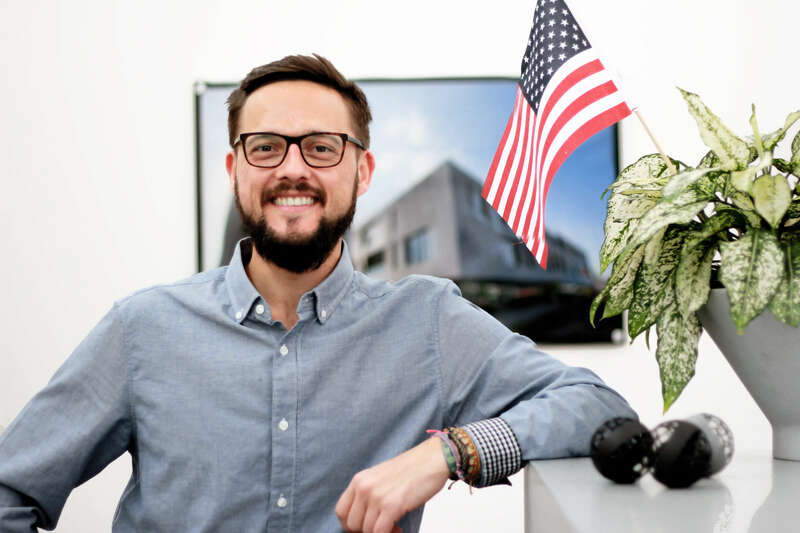 DyeMansion can thus sniff for the first time American air and prepares the market entry into the United States with experienced mentors in the Silicon Valley during the summer. Backed with a lot of inspiration from the USA, the team presents the combined DyeMansion ‘Print-to-Product’ workflow for the first time: In combination with the DM60 coloring system, the two Powershot blasters complement each other to form a complete workflow that transforms 3D-printed raw parts into high-quality products in three steps. In a first step, the Powershot C provides damage-preventive part cleaning, in the next step the Powershot S delivers high-quality surfaces and in the third and last step, the DM60 dyes the 3D-printed raw parts in every conceivable color. A strategic partnership is agreed between DyeMansion and EOS, the world market leader in industrial laser sintering systems. This partnership unites the production and the finishing of additive manufactured applications. EOS not only uses the DyeMansion ‘Print-to-Product’ workflow at it’s headquarter in Krailling, but will also actively support DyeMansion in the future to serve AM customers worldwide. At Rapid + TCT, Texas, DyeMansion introduces the ‘Print-to-Product’ workflow to the US audience for the first time. Shortly thereafter, DyeMansion is exited to officially announce their local presence in North America. To grant easy access to the DyeMansion technology there will be set up a solution center in the US with an on-demand finishing and benchmarking service. Besides, global leader and DyeMansion partner EOS uses the ‘Print-to-Product’ workflow in their US headquarter in Pflugerville, Texas, and supports to serve AM customers in the US. Make three out of one: In September 2018 the financial investors Unternehmertum Venture Capital (UVC Partners) and btov Partners (btov Industrial technologies Fund) join forces with strategic investor AM Ventures for Dyemansion’s Series A $5mio funding. DyeMansion will now proceed on expanding the global business. The next step will be to extend the Print-to-Product workflow by new products such as a technology for achieving injection molded surface quality on 3D-printed polymer parts. To expand their customer’s finishing possibilities, DyeMansion presents the first parts of their new VaporFuse Surfacing technology to the public at Formnext 2018. 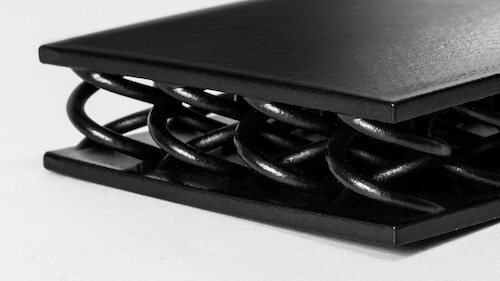 The new, in-house developed process achieves results that can rival with injection molded parts and will be integrated in the already established Print-to-Product workflow. It is the second surfacing option additionally to PolyShot Surfacing (PSS) – the offer of either a mechanical or a chemical based process further expands DyeMansion’s aspect concerning true freedom of design. Even more since VFS enables soft materials like TPU. 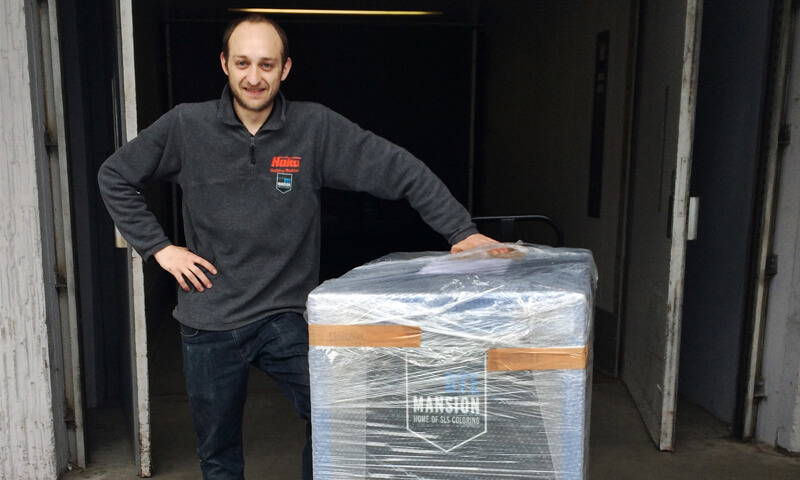 The first clean vapor technology for 3D-printed parts has arrived with DyeMansion’s new VaporFuse Surfacing (VFS). The history of DyeMansion GmbH begins in 2013 in a small cellar in Munich. 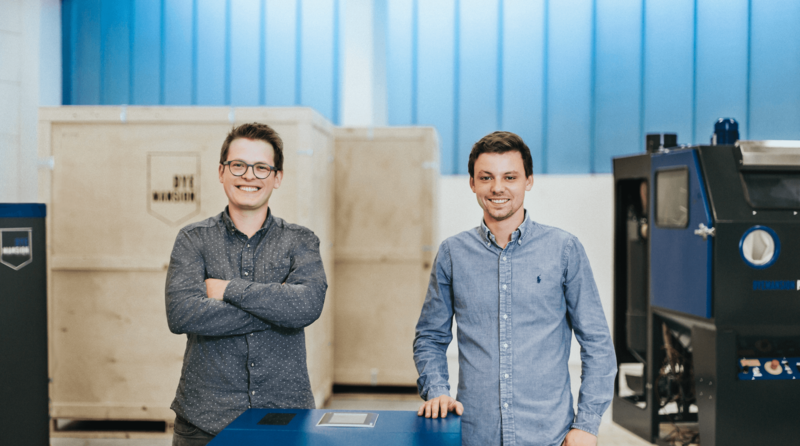 Felix Ewald and Philipp Kramer found the 3D-printing agency Trindo and start selling 3D-printed mobile phone covers with the corporate design of large companies – but what would be the story of a start-up without start-up difficulties? Trindo has to take back the first 200 mobile cases sold, as the color detaches and the customers’ trouser pockets gets dyed. In their search for a solution to this problem, the two young founders quickly discover the great potential of a technology for the industrial post-processing and coloring of additive blanks. The idea is born to develop an own coloring solution. Less than nine months later, DyeMansion can celebrate the world premiere of their first product: at the world’s leading exhibition for 3D-printing, Formnext, the team presentes the world’s first fully automated coloring system, the DyeMansion DM60 for laser sintered plastics. DyeMansion wins the Formnext Start-up Challenge and can start DM60’s pilot phase with new possibilities, contacts and ideas. The continuously increasing demand in the finishing service, staff growth and big plans for the future need space. DyeMansion finds this space in a new 1000 square meter facility in Planegg-Munich. Since September 2016, the company can call this their ‘Mansion’. It quickly becomes clear that a high-quality color distribution requires much more than just the coloring itself. DyeMansion expands the existing product portfolio with the DyeMansion Powershot series. To present the new ‘youngster’ appropriately, the team builds their first own exhibition stand for Formnext in Frankfurt. 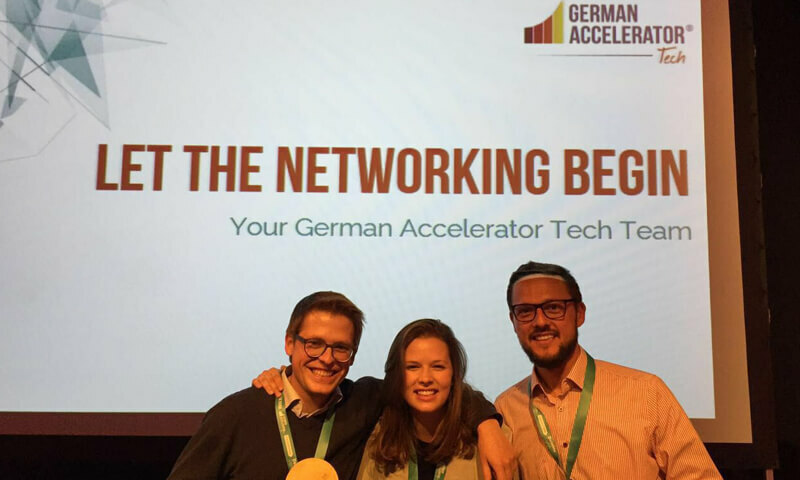 With its product portfolio and innovative ideas, DyeMansion 2017 is able to assert itself against further German start-ups and wins the “German Accelerator Tech”, a program of the Federal Ministry of Economics to promote innovative tech start-ups on their way to the USA. 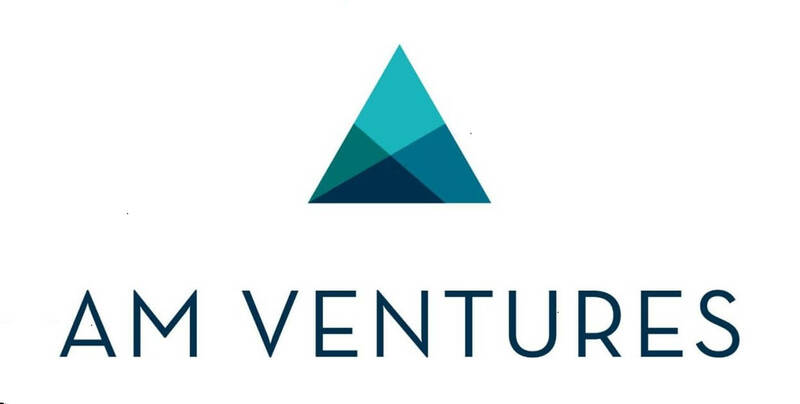 DyeMansion can thus sniff for the first time American air and prepare the market entry into the United States with experienced mentors in the Silicon Valley during the summer. Backed with a lot of inspiration from the USA and new ideas, the team presents the combined DyeMansion ‘Print-to-Product’ workflow for the first time: In combination with the DM60 coloring system, the two Powershot blasters complement each other to form a complete workflow that transforms a 3D-printed raw parts into a high-quality product in three steps. In a first step, the Powershot C provides the damage-preventive cleaning, in the next step the Powershot S delivers high-quality surfaces and in the third and last step, the DM60 colors the raw parts in every conceivable color. Since November 2017, a strategic partnership is agreed between DyeMansion and EOS, the world market leader in industrial laser sintering systems. This partnership unites the production and finishing of additive products. EOS not only uses the DyeMansion ‘Print-to-Product’ workflow at its headquarters in Krailling, but will also actively support DyeMansion in the future to serve AM customers worldwide. At Rapid + TCT, Texas, DyeMansion introduces the ‘Print-to-Product’ workflow to the US audience for the first time. 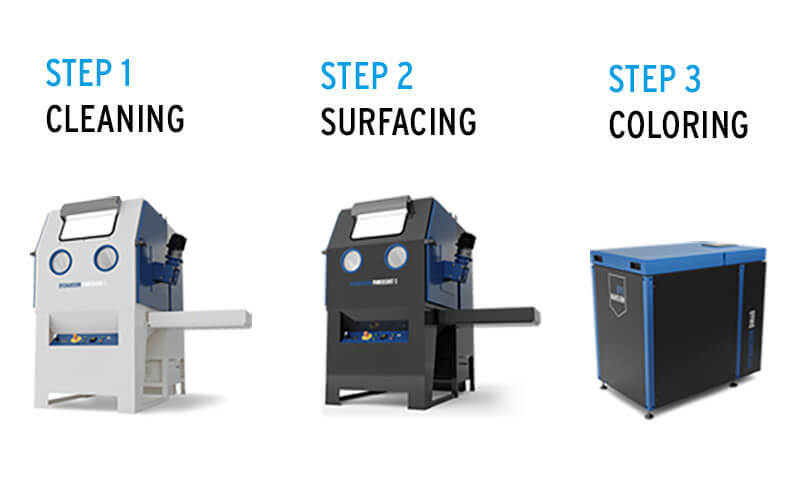 To grant easy access to the DyeMansion technology there will be set up a solution center in the US with an on-demand finishing and benchmarking service. Besides, global leader and DyeMansion partner EOS uses the ‘Print-to-Product’ workflow in their US headquarter in Pflugerville, Texas, and supports to serve AM customers in the US.